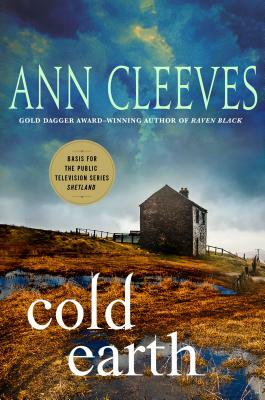 From Ann Cleeves, winner of the CWA Diamond Dagger Award, comes Cold Earth. In the dark days of a Shetland winter, torrential rain triggers a landslide that crosses the main road and sweeps down to the sea. At the burial of his old friend Magnus Tait, Jimmy Perez watches the flood of mud and water smash through a house in its path. Everyone thinks the home is uninhabited, but in the wreckage he finds the body of a dark-haired woman wearing a red silk dress. Perez soon becomes obsessed with tracing her identity and realizes he must find out who she was and how she died. Cold Earth is the seventh book in the beloved Shetland series, which is now a major success for the BBC. ANN CLEEVES is the multi-million copy bestselling author behind two hit television series—the BBC’s Shetland, starring Douglas Henshall, and ITV’s Vera, starring Academy Award Nominee Brenda Blethyn —both of which are watched and loved in the US. Shetland is available in the US on Netflix, Amazon Video, Britbox and PBS, and Vera is available on Hulu, Amazon Video, BritBox and PBS. The first Shetland novel, Raven Black, won the CWA Gold Dagger for best crime novel, and Ann was awarded the CWA Diamond Dagger in 2017. She lives in the UK.